Rare opportunity to own a slice of history in this lake front community. Home has great character with recently refinished original hardwood floors, fresh paint, newer windows and a large brick fireplace. 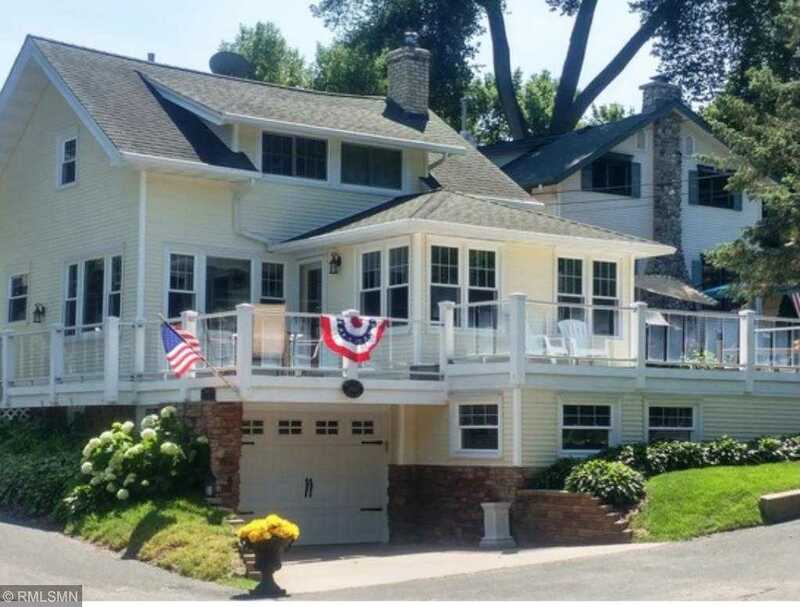 Large deck with views of Wayzata Bay. Community offers several shared amenities including docks, beach, large pavilion, tennis courts, playground and basketball court. Location is close to Wayzata and Excelsior. No dogs allowed. Directions: Breezy Point Road to East Road, left on Front to house. Please, send me more information on this property: MLS# 5144673 – $675,000 – 2800 Center Road, Woodland, MN 55391.